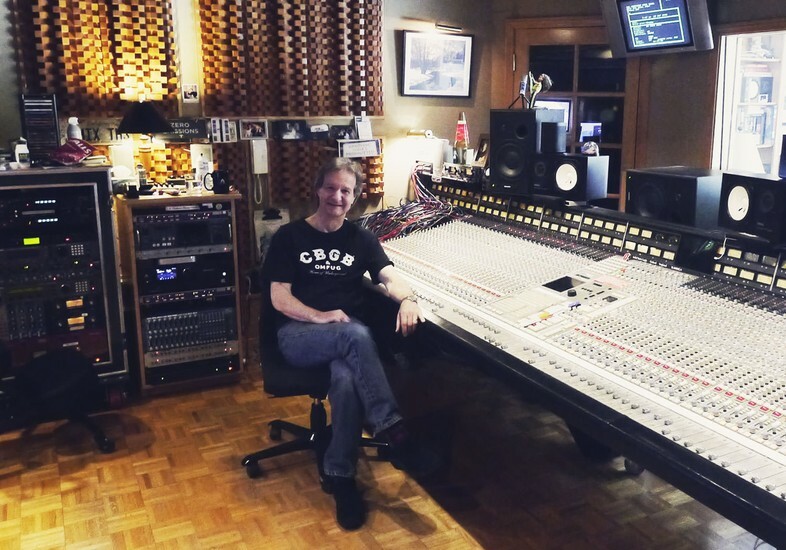 Bob Clearmountain: Living in the Mix | Tape Op Magazine | Longform candid interviews with music producers and audio engineers covering mixing, mastering, recording and music production. I've wanted to do an interview with noted mix engineer Bob Clearmountain for many years. Ever since I first heard tales from artists who had worked with him about how he finds the heart of a song's mix in under an hour, I wanted to know how he does it. On top of that, every mix engineer we've interviewed generally calls out Clearmountain as one of their favorite mixers. I will usually start research for a Tape Op interview by going to Allmusic.com and printing out their discography, but in Bob's case it was 47 pages long and my environmental conscience kept me from printing that many pages! I had to wing it with some handwritten notes instead. You started off engineering and mixing in New York, but you're now mainly mixing and doing a lot less tracking? I would imagine mixing allows you to work on more records versus tracking and producing. Do you enjoy that aspect of it? I did produce for a while in the '80s. All of us engineers thought, "I'm trying to become a producer." I went along with it. My favorite part of producing was the end of the day when somebody asked for a rough mix. I didn't actually like producing, and I didn't admit that to myself for years. I finally got it. "Why am I doing something I don't think I'm actually that good at, and that I don't really like?" I'm not a psychologist, and you really have to be one in order to be a good producer. Not only that, but you have to be an accomplished musician. I was a hack musician. I couldn't really go over to the piano and say, "Play these chords." With mixing, I can sit down, push the faders up, turn some knobs, dial up some reverb, and say, "What do you think of that?" That I can do. I think I got pretty good at it over the years. I started to realize that people were booking me just to mix their album; a record that they had finished producing. Not only that, but my manager at the time said, "Why are you bothering with producing? You could do so much better just mixing records." It made sense. How long does it take you to mix a song on average? Well, it depends on what it is. Normally, if the arrangements are good, and the producer and the artist aren't dickheads, I'll get two a day. If something's complicated, or we have to make a lot of decisions, it'll take a day. Then sometimes I'll work with somebody like [Robert John] "Mutt" Lange, where it takes maybe a week. I don't really understand why that is. Do you still enjoy doing this? I mean you probably don't have to do this if you didn't want to, but you're still working at it. I absolutely enjoy it. It's pretty much my favorite thing to do, still. I love the puzzle of it. I love getting a new multitrack, putting it up having never heard it before, and listening to a rough mix, or something like that, to get a good idea of what the artist and the producer had in mind. Then I'm going through and figuring out what each element is, and what they're doing. I go through the faders. I'll put up a rough mix and think, "Okay, what do these things do? What do they contribute to the narrative of this song?" I always go through the "crisis mode" of putting the thing up and going, "Oh, my god, what am I going to do with this? I'll never be able to make this sound good." Then, after a little while, it tends to come together. I get drawn into it. I figure out what everything does, and then it turns into something that sounds like something. It's so much fun to do that. It's like working on a crossword puzzle. Once I start getting it, it starts to come, and I feel like I've done something. I heard a comment from someone who worked with you that really intrigued me. They were working on a track and they were lost; they didn't know if the song was working or not. They had you mix it and said that you had cleared the clutter and found the song within a half an hour. All of a sudden, the track was working! How do you solve the puzzle? Well, there's no particular method. I don't even understand it. That's the problem. It's a little scary, because, to me, it doesn't seem like I'm doing anything. It's like, "Why can't anyone do this?" It seems so simple. I'll find the obvious things that pique my interest in a song. Then I find the things that don't, and I weed them out. I base everything around the voice. To me, that's what pop and rock music is all about. It's the narrative of the song. I learned a lot of this from working with [Bruce] Springsteen, actually. His thing is always that the singer is the focus. If anything gets in the way of the message of the song between what he or she is doing and portraying and the listener, then you have to weed that out. It has become instinctive to me. Probably not just me, but a lot of mixers who do what I do. After a while, you instinctively gravitate to the important things, the things that support what the song's about, and what the music's about. Do you have go-to tricks, or is coming up with new methods part of what you still enjoy? I usually start a mix with a blank slate. I'll normal out the console completely, so it's not like I have some template that I use. The only template is that I like certain things: The vocals always come up on channel 24, which is the center of the console. Backing vocals are to the left or the right of that. I'll have the guitars to the left, then the drums over farther left, percussion way over to the left, and then on the other side I'll have the keyboards on the right. If there are any strings, horns, or things like that, they go way down on the right. I group everything so I know where they are, so that I can get to tracks really quickly; like if I hear a keyboard that doesn't sound right, or needs some help. I think most mixers probably do the same thing. Plus, I color code everything. Guitars are blue, keyboards are green, and drums are black on the little scribble strip. Other than that, I start by normaling out the EQs and getting rid of all the effects. I will try a bunch of different effects on the voice. Sometimes there's no effect on the voice. I'll always have the vocals in the mix, unless it's really complicated. Maybe it's down a bit. But I always like to hear the whole thing. We used to mix records back in the '70s before there was automation. The problem was that it was hard to mix a record and hear it at the same time. You couldn't get an overall picture of it, because you're always thinking about these little [mix move] details. Trying to remember to mute this at that point. Exactly. Automation was such a wonderful thing, when it got good. You could add to your mix, sit back and listen to the mix while you were doing it, and hear it as a finished record instead of hearing it as little bits and pieces. I mixed something the other day with a brilliant young artist. He was really into breaking everything down and listening. "Let's listen to the drums for a while. Let's listen to the percussion for a while." I turned to him and said, "I'm flying blind. That doesn't make any sense to me. If I don't hear the whole picture, I don't know where I'm going. I can't judge what the drums were supposed to be doing if I can't hear the guitars, or if I can't hear the keyboards." Are you still using the console automation, or are you using Pro Tools automation now? No, I don't use any Pro Tools automation. I use the console. SSL  G+ is the best automation for mixing, ever. It's natural. I don't really think about it. I can grab a fader and ride it; I don't have a mouse. There's not a lot of programming involved. It's very straightforward and simple. You actually talk to the computer in a way, because you've got a bunch of command buttons, like, "Go to mix." All these crazy buttons. It's archaic; the last software update was '95. Sometimes archaic is good; it does one thing really well. You can't send text messages on the console. Thank god. It really works. It's so natural. It's become a part of me. I got into automation in the late '70s, and the early versions were pretty buggy. I've tried a bunch of different automation systems and moving fader systems, and none even come close to this as far as being able to do what I want. I wish that somebody would come out with a new system based on the way this works that was better. You've got 64 inputs here? It's a 72-channel desk. There are eight more on the left. But some of them on the right are returns. Decades ago that was probably more than you could use, but now I'm sure you get in songs with 200 tracks. We max it out all the time. Do you internally sum within Pro Tools? But if you don't have to, do you run everything out to a fader? If I don't have to, yeah. I'll keep everything separate. For smaller sessions, like if I'm working with Don Was [Tape Op #113], or somebody who keeps it to a nice minimum, I don't have to do that. But there are lots of sessions where I get huge string and horn sections, or layered backing vocals, and I'll subgroup them down to a stem. I have to bring it up on a pair of faders. You've got quite a few hardware reverbs in here. Do you still use those over most of the reverb plug-ins? I use [Audio Ease] Altiverb mostly for reverb. I'm using it as an external box, really. It's part of the multitrack session, but I send it to an aux off the console and then it comes back to some returns. Everything comes back through this Apogee Symphony I/O that I use as a line mixer for all my returns. They have an internal low latency mixer built in, and it's super stable. Then there are some other reverbs. I still use the [Lexicon] PCM 70s, because they do some things that nothing else does, and these Yamaha SPX990s are good for a few specific effects. You've got a few of the Eventide H3000s? Yeah. I use those for various things. I actually wrote a couple of programs for them for doing tape flanging and effects like that. What are the Roland units you have here? These are really basic digital delays. The SDE-3000s are old standbys. They still work great, and they're really simple. The Yamaha D5000 is one of the best digital delays ever designed, and nobody ever even knew about it. It was really versatile. Two inputs and six outputs. You got your start in New York, right? You were New York-based, and you were working out of the Power Station? Originally at a studio called Mediasound on 57th Street. I started there in '72, and I worked there for five years. Then Tony Bongiovi [Tape Op #127], who was one of the mixers there, came to me one day and said, "Look, I've done pretty well," off some big disco hits that he had. He did disco Star Wars [Meco's "Star Wars Theme/Cantina Band"]. He said, "I'm gonna build my own studio. Do you want to a be part of it?" Mediasound was a great studio, but they were a little behind the times in certain ways. So, I said, "Yeah, sure." Mediasound was more about jingles and R&B music. I was a fan of British rock. I said, "Can it be a rock studio?" He said, "It can be any kind of studio you want. As long as people come and work there, I don't care." So, first of all we searched for a building for Power Station, and then I helped him design it. He was the main designer, but I threw in my two cents here and there. Then I was a staff guy for two or three years at Power Station. Then I, by default, became independent. People were hiring me to mix and produce, and I thought, "This isn't right. I'm getting paid by the studio, and I'm also getting paid by these other people that wanted to pay me directly." I ended up quitting the studio. Plus, the fact that Power Station had a policy of two sessions per day in each room. There were three rooms, so there were six sessions a day. I was working on a Hall & Oates album, and they wanted to lock the room out; Power Station wouldn't allow that. I went to Electric Lady [Studios], or Right Track [Recording] some of the other studios in town and I ended up totally independent. We sat down with Tony last year and got the whole tour of Power Station. He's a strong-willed guy. Oh, yeah. He's a brilliant guy. Kind of nuts also, but in a good way. He built an incredible thing there. It's still the top studio in New York. When did you move to L.A., and what prompted the move out here? Well, in the late '80s I ended up working more in London and L.A. than in New York. It was crazy too, because I'd bought this really nice apartment on the 29th floor of a building overlooking Central Park, and I was there maybe two or three weeks out of the year. It was insane. I was flying back and forth between L.A. and London. I finally realized, "This is ridiculous." I'd met my future wife, Betty Bennett from Apogee [Electronics], because I was buying Apogee gear out here. She said, "Wow, what are you doing?" She is really smart financially; a real businesswoman. She said, "Jeez, you're paying for an apartment in London, you're paying a mortgage on the apartment in New York, a house in Woodstock, and an apartment in L.A. How are you saving any money?" I said, "Well, I'm not really saving any money." She said, "No, we've got to fix that." So, I got rid of most of it. She said, "You should move to L.A., because most of your work is here." She was right, and so I came out here. Obviously you're very close to Apogee. How involved are you in working with them on products? I'm sure you must have some input. Yeah, I have some input. They pull me in for product planning meetings and ideas about what to do. They always run ideas by me, and often they listen to me, but sometimes they don't. But most of the time they nail it. They have some really brilliant people over there. Lucas van der Mee [Tape Op #56] designs all the analog electronics. People don't realize it, but with a digital audio circuit the analog part is really the most important. It's got to sound good before it gets to the conversion, and after it comes out of the conversion and goes back to analog. They have so much experience over the years. Digital used to sound like crap. Nobody liked it when CDs were first around, and we had the digital multitracks. It was harsh and didn't sound good. It was all because of the anti-aliasing filters, because at a 44.1 sample rate, you needed a brick-wall filter at half that sample rate. Otherwise you get distortion. If you're trying to sample frequencies that you don't have enough samples for, then you're going to get distortion [unless you filter those frequencies out]. Exactly. The people that originally designed digital thought it had to be an absolute brick-wall filter. Of course, that causes ringing down into the audio spectrum, down below 15 kHz. Apogee figured out that if you contour that filter, and make it more of a roll off, it can still be as effective at anti-aliasing, but it doesn't cause that harshness. The harshness goes away. They were really the first ones to figure that out. Apogee is why digital became palatable. Well, you said that you came to Apogee because you were buying all their converters. You were a fan before. I was mixing to DAT. I loved DATs because they were convenient and there was no tape hiss. I never was a big analog fan, even though most of my favorite records were done on analog. It never sounded the same coming back. My biggest example was working with the band Chic. The producers [Nile Rodgers and Bernard Edwards] were in the band. They'd be out there in the studio playing, and I'd be the only one in the control room. I'm listening to "Good Times" or "Le Freak," and I'm thinking, "This is the most amazing sounding thing I've ever heard." They'd all play live in the studio. They were a real, live R&B band. Then they'd come in and listen back. They were grooving, and I was listening too. I thought, "Too bad it didn't sound like what it sounded like when I was listening through the board and not through the tape." It was always a little frustrating to me. Whatever it is the tape did that was changing it. It was making a decision about the sound that wasn't mine. I'm a bit of a control freak, I guess, when it comes to sound. Digital came along, and once Apogee got involved, playing it back sounded like it did when we recorded. It's exactly what it sounded like. I was quite happy about that. So, yeah, I was mixing to DAT, but I wanted it to sound better. The original DAT machines were a bit harsh, and Apogee figured out how to get rid of that harshness. You mentioned working with Chic. You did quite a few records with them, right? I think I did three Chic albums. There were a few other things that they [Bernard and Nile] produced that I did. There was Sister Sledge, and Norma Jean [solo, of Chic]. Then I was off into producing, so we parted ways. Although I did [David Bowie's] Let's Dance with Nile Rodgers. That was a fun record to make. You recorded and mixed it? I'm assuming Nile brought you in on that one? Yeah, as far as I know. I was booked on it one day. "Look, you're doing a Bowie record!" Was that at the Power Station? So that setup got torn down every day and put back up the next day? It did. That was an amazing session, because they booked three weeks, start to finish, including mixing. I thought, "Who does a whole album in three weeks?" I went in the office and put another couple of weeks on hold. Then we finished it in three weeks; mixing and everything. It was unbelievable. I mean, [we were working with] the top musicians in New York, first off. Then Nile was doing the arrangements. Between Nile and David, the two of them were an amazing combination of talents. That was one of the records that defined the sound of the '80s, in a way. A lot of the records in the '80s went pretty over the top with the huge gated snare drum sound. Your records never went there. Is that something you thought about at the time? It's funny you say that, because not everybody will agree with you. I mixed some records for Robbie Robertson, [including] the first one [Robbie Robertson], which Daniel Lanois [Tape Op #37, #127] produced. I think his label suggested that I mix his solo album. Daniel was like, "Oh, you don't want that guy. You're going to get that Born in the U.S.A. snare drum." For that album, Bruce was really into that huge gated snare drum sound. More so than I was. He would push that harder. He'd say, "No, it's got to be as big as it can be." I was like, "Yeah, okay. If that's what you want." I'm never one to argue with the artist or producer. If that's what they want, that's what they're getting. Obviously, it worked for that record; it was the right thing. But some people felt it was too much. But normally, to me, it should sound big and impressive. It should grab you. Especially back then, records were going in that direction, but there were records that were too over the top. I still hear records nowadays where it's like, "Why's that bass drum so loud? Is that right? Were bass drums that loud, ever?" To me, it's about the song. If any element of the instrumentation is taking over the spotlight from the song, I don't think that's a good thing. Unless the song is so bad that all people care about is the damn snare drum. Then there's a problem with the music. Was your personal taste to pull that back in a little bit? I'm not a man of extremes; let's put it that way. I like to hear the music come through as music. I was talking with my friend and fellow engineer, Thom Monahan, last night. We were discussing that era, and he said he feels like your mixes had a lot of air to them. I feel like your mixes still felt natural. That's good to hear. That's probably right. I don't know if it's a conscious thing that I do, but that sounds like a good description of what is in my head when I'm mixing. One of the first records that made me aware of your work was the Bryan Adams single "Run to You." I'm not a big Bryan Adams fan, but that song would come on my crappy car radio, and I'd be thinking, "I know that's a guitar, but why does it sound so good?" It sounded better than anything else on the radio. Well, thank you.That was a big one for me. Bryan and I had become really good friends by then. To me, that's how rock records should sound. Not overhyped, but big and warm. It should draw you in. There shouldn't be anything in there that's annoying or pisses you off. You want to live there. The records that I grew up with, like The Beatles or Leon Russell records, I wanted to live there. I wanted to be there when that was going on. One of the more recent mixes you worked on was Ethan Gruska's Slowmotionary. I assume [producer] Tony Berg [Tape Op #121] and you are friends? Yeah. Tony and I are old friends. It was a fantastic and very unusual-sounding record. I learned a lot from that. It was difficult to mix because of the way it was recorded. Tony's got this upright piano with some kind of damper, like a piece of felt between the hammers and the keyboard. A lot of that record is based on that piano sound. Ethan sings while he plays, and it's an upright piano, so he's sitting and basically singing into the piano mics. There were a lot of phase problems and all kinds of, "How do I make this work with this leakage coming from his voice, plus the piano leakage into his vocal mic?" It was all one thing. Getting the effects right the environment of the record exactly right for the songs I mean, it's a bit of a dark record. There was a lot of experimentation, as well as a lot of trial and error when it came to various effects. I wish everybody could hear that in surround. Everything I've done in the last 15 years I've also done the surround mix for. That record, in particular, has some pretty incredible-sounding surround environmental sounds. I don't spin elements around in the room, or pan crazily. I like the feeling of being in the middle of the music. Maybe someday somebody will hear it other than me. This ties into what you're saying; you want to live in the song. Yeah. I've got a massive hard drive full of surround sound mixes that no one's ever heard. Hopefully people will hear them someday. This is an unfair question, and you can pass if you want. Do you have a favorite record you've worked on? All of them! I know; that question comes up a lot. No, I don't have a favorite record, but there have been a few. Aimee Mann's first solo record [Whatever] was one of my favorites. She's a brilliant songwriter; I wish I was still working with her. That record was a combination of her and [producer] Jon Brion's [Tape Op #18] quirkiness. Just really unusual sounds, as well as great songs and great lyrics. It's one of my favorites. The Crowded House records were amazing to me, especially Woodface. Last year I mixed a record, The Knowledge, by the band Squeeze. It's this record that they did that nobody knows about. I think it is one of the best records I've ever mixed in my life. The record is a masterpiece. It's a shame that more people haven't heard it. [Chris] Difford and [Glenn] Tilbrook are two of the best songwriters on the planet, and they are still writing unbelievable songs. Of course [mixing] Avalon for Roxy Music was something I've had more positive comments on than anything I've ever done. I like that one a lot. But it's funny, because the records that I've done that are my favorites aren't necessarily the big hits. I love Bryan Adams, Springsteen, and the Rolling Stones' records, but they're not necessarily my favorites. How developed is your sense of whether a song is going to be a hit while you're working on it? Or do you not even think of it in those terms? I no longer think in those terms. The '80s were the time when we thought about that. Nowadays, I don't care anymore. I mix things that I like. I don't care what anybody else thinks, as long as the producer and the artist are happy. But most of the time, I can't really tell. When we were recording "Good Times" for Chic, we were doing the basic tracks. Before they came into the room for a playback, I thought, "This has to be a hit. How could this not be a hit?" They came into the control room for playback. Bernard Edwards, the bass player [and producer], was standing next to me. I turned to him and said, "Where did you come up with that amazing bass line?" He turned to me and said, "Oh, you like that?" Like he didn't know. "This is monumental. How could this not be a hit?" I didn't hear any vocals. It was just the basic track. That seemed like a hit to me. [The Rolling Stones'] "Start Me Up" seemed like a hit. 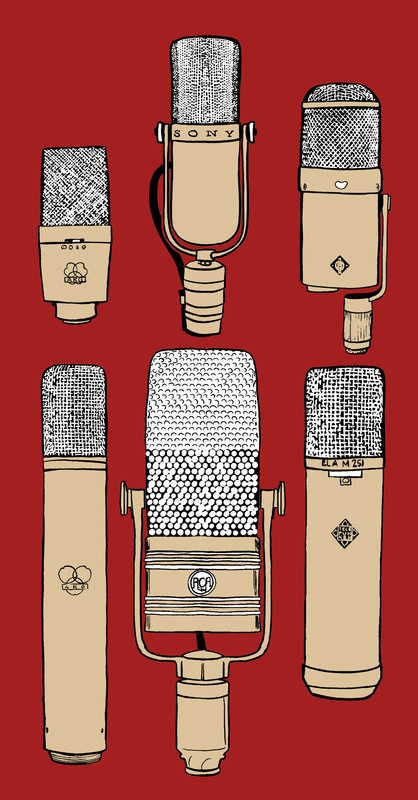 It was recorded someplace else, but we did some vocal overdubs. Mick Jagger's screaming into my ear in the control room. He goes, "What do you think? This is about a motorcycle. Start it up! Start it up!" He goes out there and sings it. At one point in the song he said, "start me up" a couple times instead of "start it up." I said, "For whatever reason, something about that sounds better. 'Start me up' could be a sexual connotation." He said, "Yeah, okay. Start me up." All of a sudden, it sounded like a hit record. So, you changed "it" to "me"? Well, no, it was his idea. He said it. I suggested that maybe it would be a better thing. I mean, if you look at the original track sheet it says "Start it Up." See also the podcast of this interview here, and a brief interview we did with Bob Clearmountain in #84.